Not going to post spoilers Although It made me so angry in parts. Read it first on Kindle but listening to it is even better I came up with what I would've said in parts. To bad there isn't a way to overlap slightly what their thoughts as they're saying something more cleaned up. I wish that I could help kids like Zack in real life. but I'm just as damaged as a abuser myself. I can give advice. Help that way Just wish there were more people in the world like Ben and his family who took both Zack and his Sister in. In the right way. Too often there are ones who are or were worse than their home to begin with. 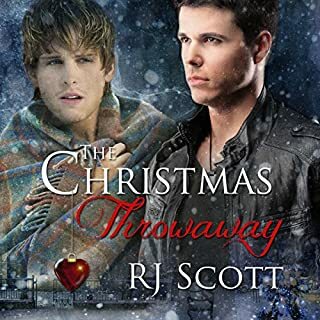 RJ want more from Zack and Ben Like in your Montana and Texas Series' A truly wonder Story bordering on C Dickens'!!!! Jorie reminds me of Lucille Ball from I Love Lucy, with hair brain antics cause of his ADHD and stubborn streak.And his boss id Vivian Vance's role with Ms. Ball in all their shows together. And the Cop that Jorie get's involved with is Rickey Ricardo. 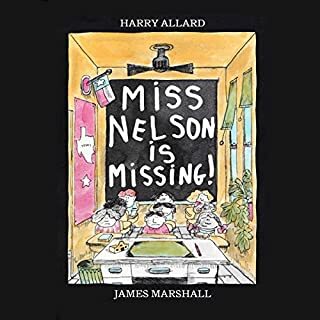 I remember this story from when was a child Miss Nelson was a sneak pretending to be Miss Swam, just to get her students to behave. Gave me some wonderful evil ideas for revenge.... Enjoy!! !